In the mid 2000’s Japan dethroned France as the country with the most michelin stars, with Tokyo being the city with the most stars in the world. 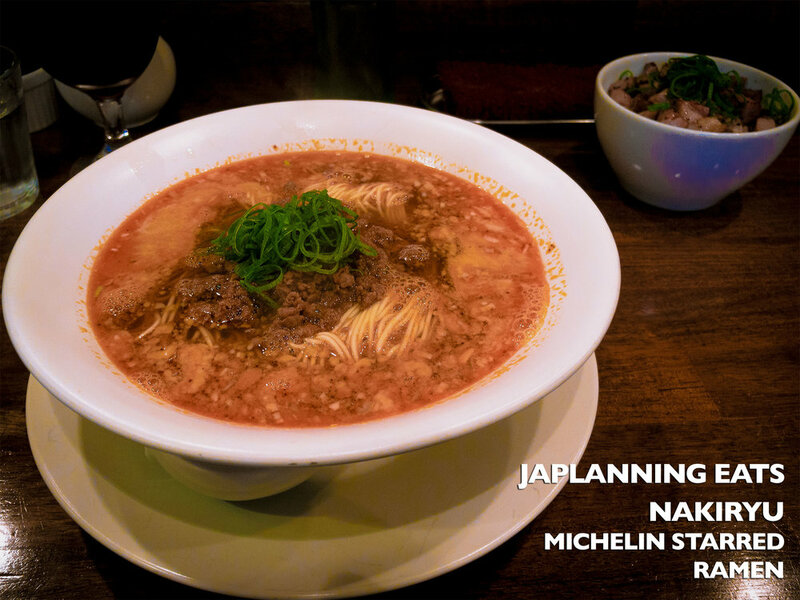 In recent years Tokyo has become home to two ramen bars that have each been awarded a Michelin star for their dishes. The first was Tsuta in 2015 and followed by Nakiryu in 2017. Today we are giving you our review on the Michelin ramen at Nakiryu, and tips on how to get your hands on a bowl of one of the best ramens in the world. Sitting at the base of a small office building surrounded by apartments in a very unassuming residential town in Tokyo, most would walk past Nakiryu and not even notice it - you could assume it was a small accountants office. However behind the ground floor door on the corner of the street is a small, 10 seater ramen bar that makes one of the greatest bowls of ramen in the world. In a quiet little corner of Ginza, down a nondescript laneway sits a perfect little coffee shop that has been roasting beans since 1948. Are you a coffee lover? Coffee obsessed? This. is. your. place. Alerted to this gem by some Japanese friends, the Japlanning team hit up this perfect café on a recent trip to Tokyo. The café opens at noon and serves you guessed it, coffee. There is nothing else on the menu. But what it lacks in options for food or other beverages, it more than makes up for preparation and choice of beans. Every guest must at least order 1 cup of coffee, but even for the non-coffee obsessed there’s something on the menu for everyone. The majority of the coffee is prepared with the nel drip method; using a copper kettle, and being strained through a filter which looks like an old sock. The pour is slow and hypnotic to watch. Right now in Tokyo you can take part in a game that will take you across the city, solving puzzles, seeing the city, and traversing the vast Metro system. Tokyo Metro: The Underground Mysteries is a unique scavenger hunt / escape room type game that has you use the city as your board to complete the puzzle. Today we are visiting the ward of Ryogoku in Tokyo. The home of many things, including Sumo in Tokyo, today we are visiting one of the most impressive and biggest museums in Tokyo: the fascinating Edo-Tokyo Museum. The Edo-Tokyo Museum opened in 1993 in the Tokyo ward of Ryogoku, this museum is the pinnacle of Tokyo history museums in the region. The Edo-Tokyo Museum takes you through the birth of the Edo period in Japan, and birth of “Tokyo” (Fun fact - Edo was the name of Tokyo before it was renamed in the Meiji period). The museum takes you through the Edo period, with life size reproductions of buildings, theatres, bridges, vehicles and more. As well as reproductions to give you a visual of a time past, they also have amazing artifacts on display from the Edo period that are priceless.